Porpidia flavocaerulescens ("orange boulder lichen") on rock, along the Denali Highway, Alaska. The black discs are fruiting bodies of the lichen fungus. 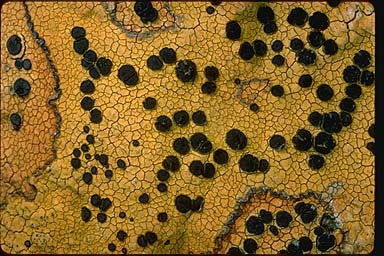 Dark lines form where two individual lichens meet.